It looked even more stunning on the plate than these pictures suggest. 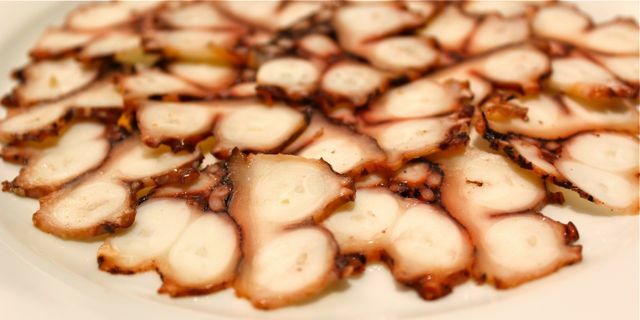 Barely a couple of millimeters thin, the mesmerizing pattern of tentacles sliced in cross-sections was the basis for three salads I made a few minutes later. 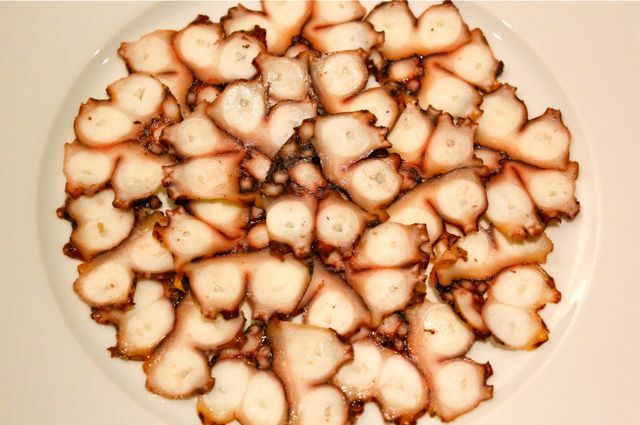 While this was all relatively easy, it was a bit time consuming and I realize not everyone may have a small electric slicer at home, so you may have to cut the octopus in slightly thicker slices. But the look and feel I was striving to achieve was definitely met in full. 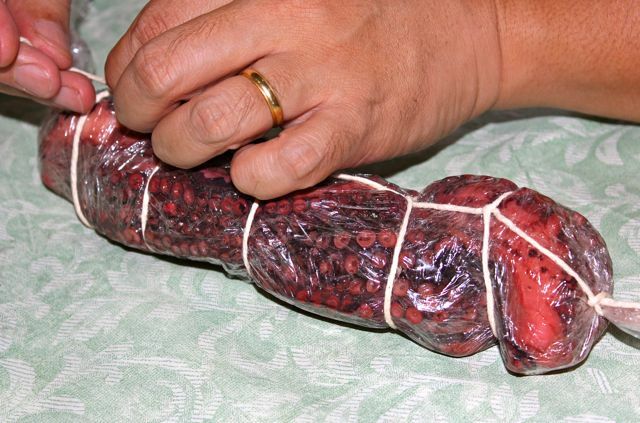 …tie the “salami” with kitchen twine as you might a roast and when it it is all snug and well-formed, stick it in the fridge for a day or two to set up. hi MM, where did you get your electric slicer? 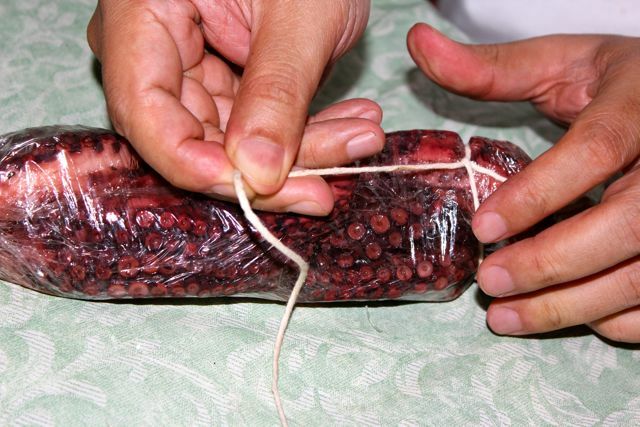 I usually order canned octopus or pulpo in oil which I eat with microwaveable brown rice when I get tired of the food they serve in camp. I also ordered a few cans of cod liver which I didn’t enjoy much. This is just gorgeous! 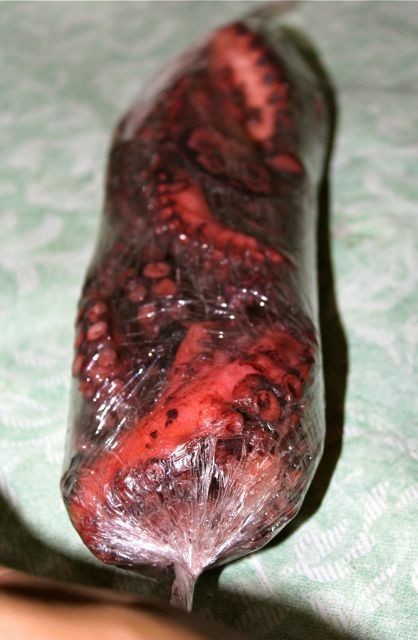 You are inspiring me to go out and buy fresh octopus!